C&R geologists and mineralogists provide expertise to tackle a number of environmental, geotechnical and mining problems, with both desktop and field based methods. Our clients include small local businesses, local, state and federal government agencies, and multinational corporations. Our team of experts integrate various disciplines for the right client outcome, from petrography and mineralogy, to field geology and geomorphology. C&R are also adept at understanding the chemical processes behind geological problems, and we incorporate this experience into our geological investigations. Discover some of the benefits we have provided to past clients below, or contact our director and principal geologist, Chris Cuff, to discuss a site-specific quote. C&R assessed potential skin damage in CSG wells in the Bowen Basin and its impact on well productivity. We analysed the secondary mineral infill in porosity of well core samples to determine the cause of loss of permeability during hydraulic fracturing and gas production. Our interpretation of bulk rock composition from XRF, mineralogy from XRD, and images from scanning electron microscopy led to the identification of precipitated minerals causing skin damage. To aid the client in identifying a suitable source of injection fluid, we used geochemical modelling to understand the potential mineral saturation states at depth when fluids interacted with groundwater. 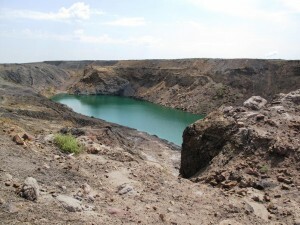 C&R have undertaken residual void studies for several Bowen Basin coal mines, including long-term erosion assessments. We conducted detailed petrographic, mineralogical and structural analyses to provide clients with assessments of surface and drill hole geology. We determined the stability of residual void structures through geotechnical, soil and topographic analyses, and predicted long-term erosion patterns. C&R also integrated geochemical modelling within these studies to predict long-term evolution of pit water quality, enabling clients to assess water use options. 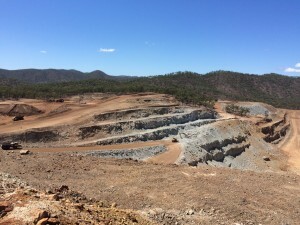 C&R determined the environmental suitability of overburden rock for stockpiling and landscape remediation at Pajingo Gold Mine and Mt Moss Mine in northern Queensland. We provided mineralogical and chemical analyses of overburden and also characterised the lithology of the rock. Through this assessment, we highlighted the structural and environmental implications of stockpiling the overburden rock, including chemistry of runoff and groundwater seepage. This allowed our clients to plan for rehabilitation in a cost-effective manner, avoiding the unnecessary negative impacts to the environment. 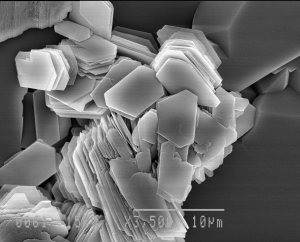 To improve the Coke Strength after Reaction (CSR), C&R provided a detailed interpretation of: petrographic textural and mineralogical descriptions; mineral compositions from XRD; XRF analysis of bulk coal; scanning electron microscope images; and electron microprobe chemistry. We also built an artifical neural network (ANN) model, using mineral chemistry to predict CSR. 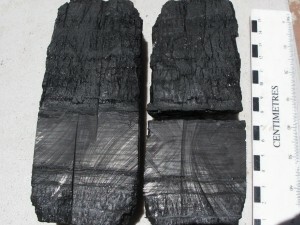 From this integrated approach, we helped our client to identify which mineral phases from the coal had formed undesirable components of the coke, and made practical recommendations on coal washing fluid composition to enhance CSR. Our team regularly perform integrated soil, geomorphology and geology mapping. We are competent in the creation of soil maps through assessment of soils, geology, geomorphology and hydrology (e.g. Rocky Springs urban development). We have also evaluated coastal geomorphology, geology and hydrology in the dry tropics for Magnetic Island Local Council.